This is the "half sized" version of York's horizontal plate rack. It holds the same number of small iron plates as the full sized version. 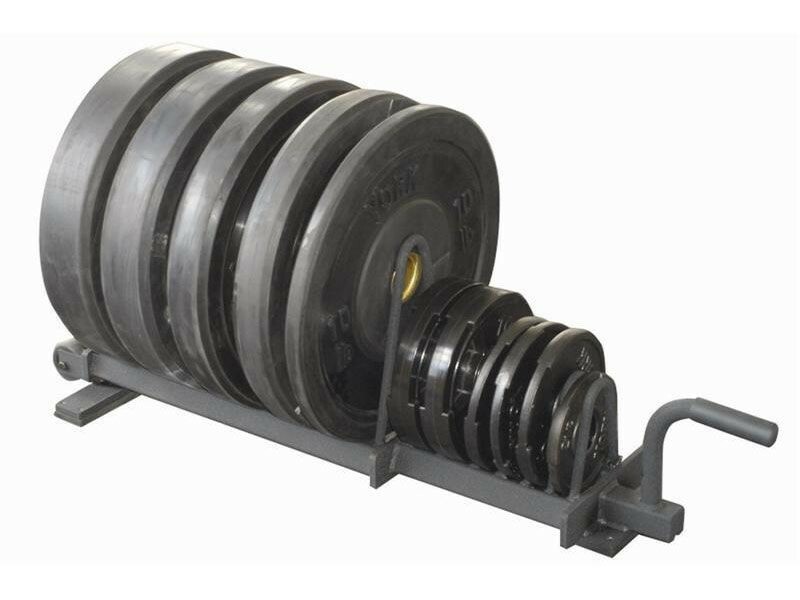 Holds (2) 10lb, (2) 25lb, (2) 45lb of most brands of bumpers.